Use the Microsoft Outlook Rules Wizard or Mozilla Thunderbird Message Filter to help screen your e-mail and delete e-mail messages that are not important. Often many online services such as Yahoo! mail and Gmail also have filters that can be applied. Use keywords used in spam e-mails you frequently get (e.g., Viagra). 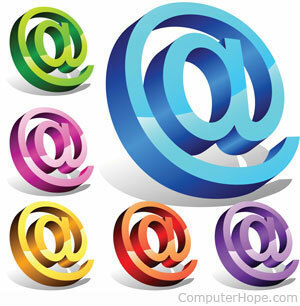 Move e-mails from certain e-mail addresses such as family and friends to a specific folder.